In this Freak Out Friday, Robb Clarke combines the Avalanche and Rockies franchises for a crazy Colorado powerhouse. Sundays are getting a new series starting today. Readers have been asking me to feature more concepts for teams from outside of North America. I'm now starting to receive enough submissions to make that happen. 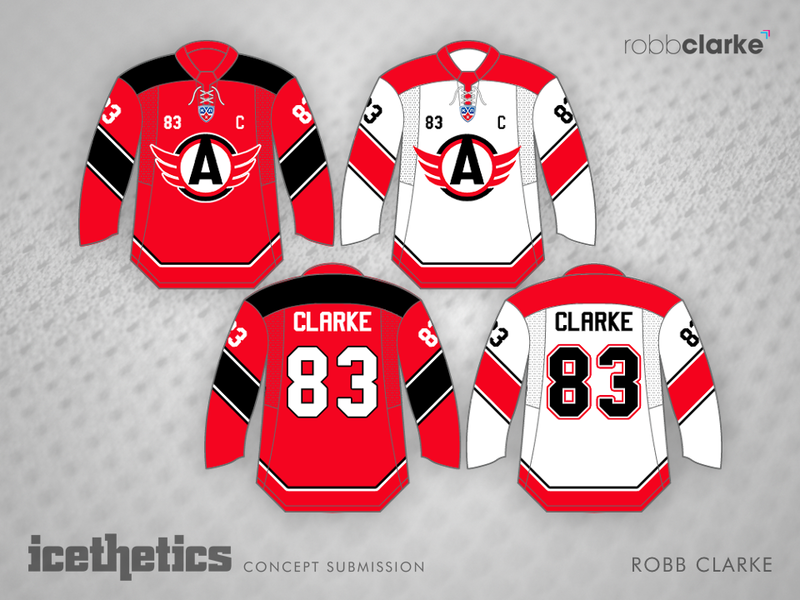 Robb Clarke gets us off the ground with a team from the KHL — the Avtomobilist Yekaterinburg. Below is a photo of their existing uniforms. Robb Clarke was one of a number of fans displeased with Nike's attempt at redesigning hockey uniforms for the 2014 Olympics. So he decided to redesign Germany's set — though I personally felt Nike nailed Germany. Of course there's also the issue that the IOC wouldn't allow that logo on the black jersey. But other than that, do you think the design is better than what Nike introduced? Tonight, the AHL's best players face Färjestad BK of the Swedish Hockey League in the first-of-its-kind AHL All-Star Classic, hosted by the St. John's IceCaps. Robb Clarke thought the teams might look good in these jerseys. What do you think?